It's been a good training week, you guys! The past week has been full of bits and pieces that I was having a hard time putting together until today's long run. Here's the nitty gritty running piece. The 3 consecutive shorter runs were a little easier this week. My legs were less tired by Thursday than they were last week. Maybe my 42 year old body is getting used to this 20 year old training program?? I'm still pretty exhausted though so I'm not convinced yet! Nonetheless it's been encouraging to notice how my body is starting to adjust and feel stronger. I absolutely love that feeling! So this week I had to make a decision. I let go of the Wineglass Marathon for this year. No one was getting back to me and I had to commit to the other marathon or I could be left "marathon-less" come fall! After lots of thought I decided I would do the local marathon. It seemed the right decision when I finally let go of the Wineglass. The Wineglass is amazing and definitely a race I want to do eventually. But it seems fitting that I cross the finish line of my first marathon in my home now, with my family and friends here. Corning and Elmira represent my past. It used to be my home. But my life is here now. So with that I made nice with it all! The local marathon is a week earlier than the Wineglass, which translated into needing to play catch up! After getting lots of opinions and doing my own soul searching I decided this was the right week to get caught up & on track. So rather than do the scheduled runs for this week (this week was scheduled as a step back week 3,4,3,5 mile runs) I cautiously jumped ahead to next week's training. 3,4,3,9 mile runs. It was a calculated risk. I was a little concerned about the peroneal tendonitis rearing it's ugly head. So in spite of wanting to run faster on today's 9 mile run, I ran it slow and conservatively. Every time I wanted to let loose I reminded myself of the marathon and my long term goal. I don't have to crush every run with a PR. Sometimes you have to let go of the short range goals if you want to achieve something bigger and more important. I started applying that to so many parts of my life. Specifically, it reminded me of my friend, Bob. Bob is a guy I know with mental health issues. He is a great big guy with long dark brown thinning hair and a stutter when he speaks. We had lots of talks together about everything from his life in the 60's to politics to the local grocery store chain. We disagreed on many things, but the older I get the less that matters to me. I will take a genuine, kind person I completely disagree with any day over a fake agreeable smile. So Bob helped me a ton with a project I was leading. I was a little apprehensive bringing him in at the beginning. I take no credit for doing so. My co-worker actually pulled him in to help us. My co-worker would comment often to me noticing how happy & useful it seemed to make Bob feel. He was right. Bob beamed. At the end of the project, I invited Bob to the group celebration I put on. He called me 3X about the invitation! He wasn't sure he could make it. But the day of the party he was the first person there. Again, he arrived beaming. I had written a funny poem about the craziness of the project to read to the group and Bob was the first person I mentioned. He actually brought a ton of laughter to the whole project experience. I also handed out certificates for fun and he received "Mover Extraordinaire" He was on cloud 9. The party ended and I was trying to clean up to get to my next meeting. Bob had asked me if he could please have a copy of the poem I had written. I was in a huge rush and I would be lying if I said I wanted to stop to make a copy for him. At first, I said I would make one and give it to him the following week. But then, for some reason, (one I will be forever grateful for) I changed my mind and made him the copy. The look on his face was priceless. He pulled out a pill bottle with change in it and offered me money for the copy. It sparked a long conversation where he shared with me that he had in fact been a published poet. We made a plan for him to bring in his poetry for me to read the next week. He never brought in that poetry. Bob was found dead, very unexpectedly, in his apartment this past week. I was shocked to say the least. I have since learned that Bob had been adopted as a child. He had no living parents or siblings or family. We at work were his only family. So on my 9 mile run today I thought about Bob when I wanted to run fast but had to slow down. 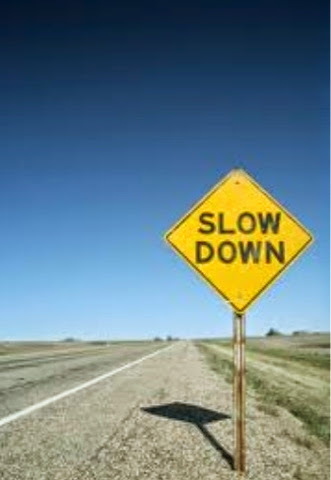 Sometimes you have to slow down in order to reach your long term goal. It's fine to aspire to be on time to meetings & such but you also need to keep your long range goal in mind as you move through life. Life is about so much more than meetings, being on time, speed, and finish lines. Life is also about the journey & the people you meet along the way. I have learned 2 valuable lessons through Bob that I will surely remember for the rest of my life. 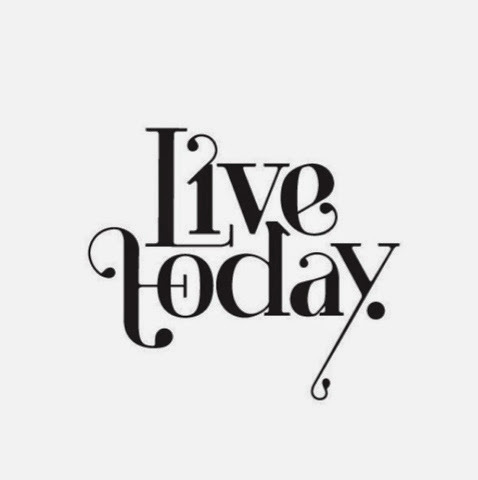 And live today because tomorrow may never come. So many of my life lessons come from the people & places I least expect. I'm so grateful running somehow helps me recognize them and pull it all together. Rest in peace Bob. You made a difference in my life, my friend.